I know of a man who has a nice temperament and is very courteous. One time during social dancing, someone accidentally bumped into his partner at the dance floor. He stopped abruptly and gave the offender a hard slap! After he did that, he instantly “woke up” and apologized profusely. His behavior shocked everyone around him. When someone hurt his partner, the degree to which he would go crazy over it is something you would never witness under normal circumstances. He would rather get hurt than seeing his loved one be hurt. This has been my experience with many married couples. I often witness husbands and wives making sacrifices for the betterment of their other halves. Even worse, some of those actions may not be what their spouse wants. Yet they keep on doing it -- thinking that these actions were done out of love and thus their spouse "should know" about their good intentions. For example, a husband thinks that if he works long hours to make money, that means love. A wife may think that she is being a responsible wife by putting all her attention on kids, neglecting everything else. This is another major reason why I chose to lecture non-stop to men and women around the world about how to build and create a lasting relationship. Do you know what your spouse actually want? Loving and receiving love are abilities that could definitely be learned! 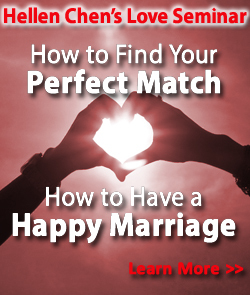 I am excited that I will be seeing some of you at the love seminar event on Oct 24-25. 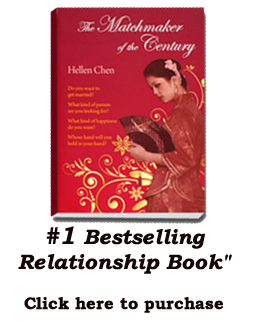 For married individuals: How to Use the Strength of Marriage to Improve Your Career, Prosperity and Health? How to Be Smarter in Knowing Who is the Right Partner Without Another Disappointment? Is Modern Dating a Waste of Time?